Beneteau fanatic Ted Tooher entered his yacht for last year’s Land Rover Sydney Gold Coast Yacht Race, but had to pull out before start day. However, he is a regular in CYCA offshore events with this fourth yacht of the same name. This one is the former Pretty Fly II, which scored her share of good results. Tooher last contested the Gold Coast Race in 2013, but retired, but Chancellor was by no means alone, joining nine others who did not have time to finish the excruciatingly slow and challenging race. 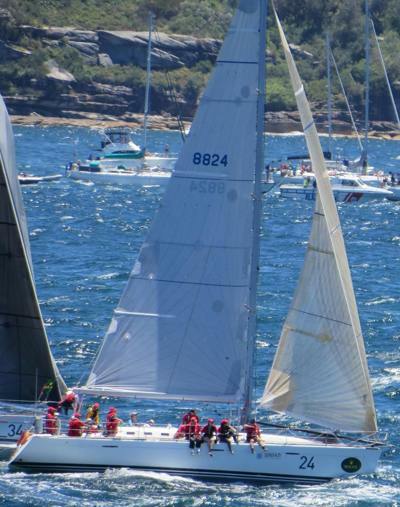 Chancellor did not finish the 2014 Rolex Sydney Hobart, pushing her down to 24th overall in the 2014 Blue Water Pointscore Series.